An October 2017 Government Accountability Office report details problems the services are having keeping the F-35 stealth fighter fleet ready for combat. One problem it highlighted was that, at a time when the Pentagon is desperate to ramp up production of new aircraft, the services have to wait an average of 172 days—nearly six months—to repair components for the F-35, when it should only take between 60 and 90 days. While this aspect of the report garnered most of the headlines, the report reveals a much more fundamental and systemic problem involving most of the latest high-tech weapon systems. Defense contractors are creating complicated support systems for the increasingly complex weapon systems the Pentagon buys, which allows the contractors to secure long-term contracts for which they have no competition from other companies. The F-35 serves as the ultimate example of this arrangement. Under the current plans, the American people will spend $406.5 billion for research, development, and procurement for a fleet of 2,456 F-35s. That’s a staggering figure, but it pales in comparison to the costs to sustain the program. These costs are expected to top $1.2 trillion through 2060, the expected lifespan of the program. That’s around $30 billion per year. 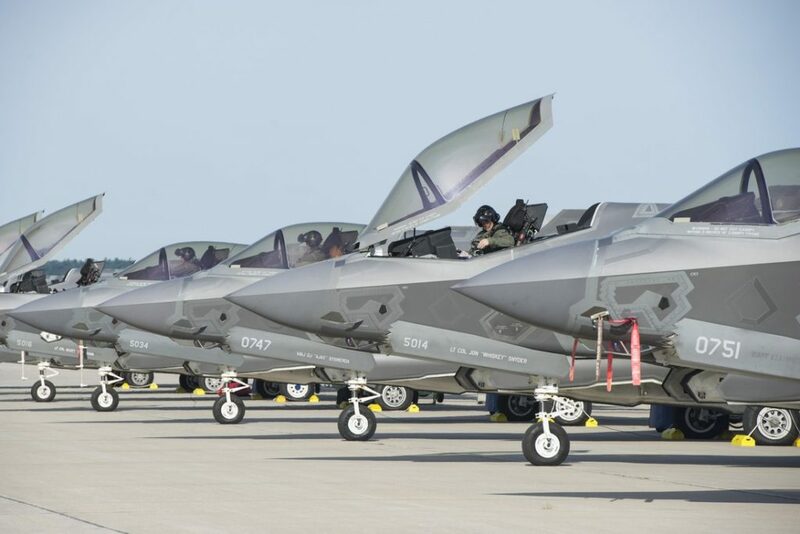 While the sustainment-to-acquisition cost ratio for the F-35 program is roughly equivalent to the historic average of 70:30, the way in which the Pentagon and the contractors reach the 70-percent figure adds more than simple financial costs to the program. It takes a great deal of effort to keep a complicated aircraft like the F-35 flying. To get a sense of just how much support is required, you only have to look at the latest bid solicitation documents. The support contract for the Joint Strike Fighter program is being run though the Naval Air Systems Command, which opened the bid process in March 2017. But this was nothing more than a formality since it was always intended as a sole-source contract for Lockheed Martin. According to the documents, Lockheed will provide a number of services to support all of the currently fielded F-35s. Under the terms of the contract, the contractor will produce spare parts, support equipment, training materials and infrastructure and manage the Autonomic Logistics Information System, among a great deal else. The full list shows exactly how much the Pentagon depends on the contractors to keep its weapons and vehicles working properly. And because these contracts are so valuable, the companies have very little incentive to design themselves out of their products by building a system that can be maintained by uniform personnel without the need to depend upon contractors. Defense contractors are creating complicated support systems for the increasingly complex weapon systems the Pentagon buys, which allows the contractors to secure long-term contracts for which they have no competition from other companies. The F-35 program is off to a bad start maintenance-wise. According to the GAO report, during the first nine months of 2017, 20 percent of the F-35 fleet was unable to fly because the spare parts they needed were unavailable. Nearly 20 percent of the F-35’s replacement parts require at least two years to be delivered. Lockheed is also late in delivering details on how to perform the necessary maintenance procedures to the services, which makes it difficult for the maintainers at the unit level to properly troubleshoot problems with the aircraft. One squadron reported maintenance staff pulling parts from the aircraft in the mistaken belief they were broken and ordering new ones from the contractor. An official at one of the depot maintenance facilities that handles major repairs reported that 68 percent of the parts received at their shop did not actually need to be repaired. The process of testing each of these parts at the depots takes nearly 10 hours, so even a single falsely identified broken component contributes to wasted time. The military’s dependence on contractors for basic functions incurs costs far beyond the mere financial. All American service members who have deployed to a combat zone during the war on terrorism have seen the vast numbers of contractors working behind the scenes to support the war effort. In 2007, at the very height of the surge, civilian contractors outnumbered combat troops. By 2016, contractors outnumbered troops by a three-to-one margin. Military officials like to say that contractors actually cut costs and take care of the support functions, allowing the troops to focus on winning the war. Whether or not a contractor really “frees a Marine to fight” is debatable. Using contractors does provide a convenient means by which administrations can mask the size of our military commitments to these places by adhering to caps on the official numbers of troops deployed in the strict sense of the actual number of uniformed military personnel deployed. These force caps rarely include contractor personnel. And contractors are hardly more economical. A 2011 Project on Government Oversight study found contractors can cost the government more than twice the amount of an equivalent government employee. The financial costs are just part of the problem, however. What good is a weapon system if it doesn’t work when the troops need it the most? Every penny of the taxpayers money spent on it will have been wasted if at the moment of crisis, it stands idle because it is down for maintenance. As a result, the prime contractor has a perverse incentive to build itself into the final product to the greatest extent possible. Understanding how a weapon system works is key to properly maintaining it, and for a system that is heavily reliant on software and computing power this means the maintenance personnel would need access to all of the system’s technical information. But manufacturers don’t want to hand over the data to anyone, citing intellectual property rights. By withholding this information, the prime contractor makes itself the only outfit capable of providing the necessary support services. No other company can compete for even one of the support contracts because the government is unable to specify the required needs. Under this system, the original prime contractor has very little incentive to keep its prices reasonable because it will have no competition. This is good for the contractors’ long-term business plans, but not so good for the taxpayers. And it’s definitely not good for the men and women who depend on these systems in combat. As important as it is, figuring out who should perform the maintenance and logistics functions is secondary to the problem we should be trying to solve — reducing maintenance and logistics burdens to the absolute minimum. This has always been one of the biggest criticisms of complex systems such as the F-35. Every time a gadget is bolted onto a weapon or vehicle, another potential maintenance burden is added. It becomes one more thing that can break and then take the entire system out of the fight. That is the part of the problem most people probably think about. For every gadget added, the force must carry spares for it. These will get added to the ever-growing logistics tail that gets dragged behind the combat forces. It used to be that these gadgets would be maintained by either the troops actually operating the system or by the support troops in their unit. That is the right way to do business. Weapons and equipment will ideally be designed in such a way that in the rare event they do break down, they can be repaired quickly and easily in the field by the users. It is vitally important for the services to carefully consider each piece of equipment, and each gadget added to each piece of equipment for the real value it adds for the troop in the field. It is also vitally important to test a new system against the one it is meant to replace. The testing of the new system needs to show that not only is the benefit on the battlefield worth the monetary cost, but also that it is worth the maintenance and logistical burden that comes with the new system. Is the often-marginal improvement in performance worth the extra personnel that may need to be brought along in the logistics trains? Is it worth the extra costs associated with transporting the new spare components? Computerized systems often require specialized diagnostic equipment to identify maintenance problems. These sometimes require their own vehicles to transport. Does the extra performance justify that? 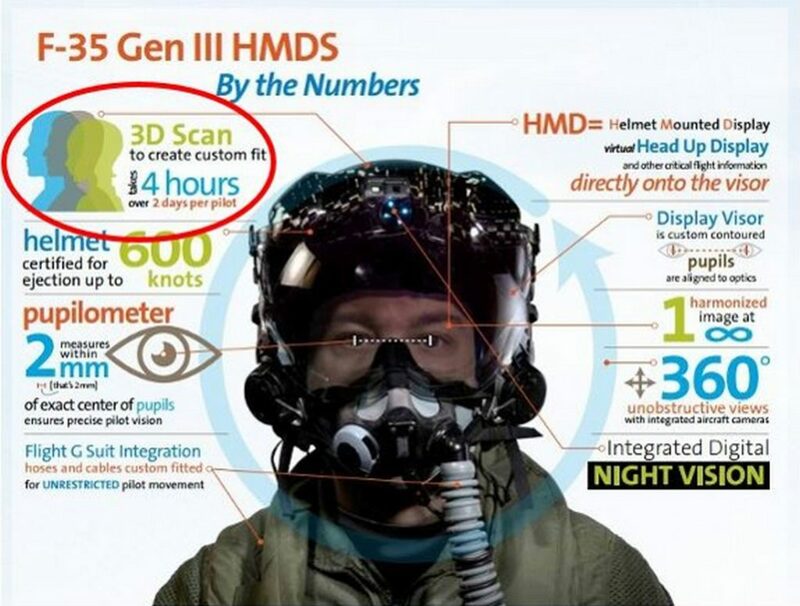 Consider the $600,000 F-35 helmet. It works as part of the Distributed Aperture System. The system includes a series of cameras in the skin of the aircraft facing out. The images from the cameras are processed together and then projected into a visor in the pilot’s helmet. This allows the pilot to see “through” the jet’s skin so when the pilot looks down at the floor, he or she sees instead what is under the jet. That sounds quite advanced, but just because something is advanced doesn’t mean it’s needed. To figure out if this incredibly complicated system is warranted, it is important to consider a question that is not often asked: what problem is the DAS attempting to solve? It has long been understood that fighter pilots need to be able to look around and see what is going on in the sky around them. For generations, people have understood that the pilot who spots the enemy first has the distinct advantage in combat. That is why the best fighter planes have bubble canopies with the pilot sitting high inside the fuselage to give them the most unobstructed view possible. That is a relatively simple engineering solution to make the maximum use of the pilot’s own eyeballs, still the most effective visual instruments in existence. In this case, it’s not clear whether the DAS actually provides a performance advantage. Test pilots have reported that the projected images in the visor lag behind the movement of their heads. F-35 pilots have had to “learn” how to move their heads properly—they can’t turn too quickly. Moreover, the images DAS produces are less clear than what pilots see with their own eyes. The taxpayers are already paying for a cockpit in the F-35 with the additional cost of including the DAS. Had the services and the contractor just positioned the pilot higher in the aircraft and provided a better view through the canopy, then the taxpayers wouldn’t have to spend $600,000 for each helmet system, the troubled F-35 would have one less thing that can break, and the services wouldn’t need to carry around as many spare parts. They also wouldn’t have to send each pilot to have his or her delicate helmet custom-fitted—a process that takes two days and is something the manufacturer, Rockwell Collins, actually brags about. Because weapons manufacturers won’t hand over the technical data for the systems the Pentagon buys, the services are dependent on the contractor for all support. It is reasonable for a company to prevent its competition from gaining an unfair advantage, but one can’t help but think the real motivation behind withholding the technical data is that sharing it with the services might allow the services to develop maintenance procedures that would not require contractor support, thus eliminating a massive, lucrative revenue stream. Companies need to make a profit to survive, but they should not be allowed to do so by making it more difficult for the military to accomplish its mission. Lockheed accomplished perhaps its greatest acquisition coup by convincing the Pentagon and Congress that it would be a good idea to surrender control of the network at the very heart of the F-35’s maintenance process. The entire F-35 program depends upon a complex network called the Autonomic Logistics Information System to keep the jets flying. ALIS plays a central role in the maintenance of the aircraft. It connects the plane’s on-board failure diagnostics with the program’s maintenance management and the logistics supply chain. ALIS is supposed to work by identifying a broken part on the F-35, automatically ordering a replacement part, and then guiding the maintenance crews through the repairs. ALIS also manages the critical Mission Data Loads, which are large software files with information about target and threat locations, the specifics about electronic and/or infrared signatures, and all relevant mapping data. The jets need these files to properly locate targets and evade or defeat threats. These files need to be constantly updated with data gathered during missions. This information travels through the ALIS network. The wisdom of trusting so much functionality to a single networked system is questionable. The network is vulnerable to hacking, as the program office demonstrated by canceling a November 2015 cyber test to the network — which would have involved contracted hackers attempting to penetrate the network’s security — out of fear the tests would disrupt F-35 flight operations. Concerns about the security of the network are so great on Capitol Hill that lawmakers added language to the 2017 National Defense Authorization Act ordering the Pentagon to review the F-35 program’s vulnerabilities to cyber-attack. Congress gave the Pentagon six months to submit a report detailing potential threats and the plan to address them. Of more immediate concern is the simple fact that the prime contractor has created a situation in which they have total control of this this part of the program. ALIS “resides on the backbone network of Lockheed Martin,” according to the Pentagon’s acting testing director, David Duma. The Pentagon, with the apparent consent of Congress, has allowed Lockheed to retain control of a system vital to the day-to-day operations of what is supposed to be the aircraft at the center of the fleet of three services. And management of this system does not come cheap. The Department of Defense has estimated the total cost to purchase and operate ALIS will be $16.7 billion over the program’s expected 56-year lifespan, but a Pentagon-commissioned report concluded that these costs could rise to $100 billion due to schedule slips and functionality problems. Carl Von Clausewitz articulated the concept of friction in war nearly two centuries ago. Friction is the accumulation of little problems and difficulties that make the accomplishment of any mission in war difficult. No amount of effort can eliminate friction entirely for the military, but civilian and military leaders can make decisions during times of peace that can greatly reduce sources of friction in war. Buying overly complex weapon systems that require thousands of civilians to support in war is not the way to do that. The Pentagon needs to stop buying, and Congress needs to stop authorizing, weapon systems that operate with only a single contractor’s support. The government should never sign a contract for a program that does not include receiving full data rights for the system. Anything less is a betrayal of the men and women who will have to trust their lives to it, and a betrayal of the American taxpayers. A weapon system can’t simply be judged by the expected combat performance. Decision-makers must also consider the costs in terms of the financial and logistical burdens involved to achieve that performance. Any expected combat performance must outweigh total costs involved. As a general rule, any weapon system should be kept as simple as possible and still get the job done. This story originally appeared at the Project on Government Oversight.